J. D. Productions Pty. Ltd. 1983. Director: Arch Nicholson. Music: Chris Neal. LP (ST) Festival. L-38196. (CA C-38196). 1984. Composed and Produced by Chris Neal. Arranged by Chris Neal, Neil Thurgate. Brass and Strings Conducted by Neil Thurgate. Musical Co-ordination: Ken Laing. Executive Producer: Phil Matthews. Buddies: Getting Even! - Main Theme. (2:24). Drive Like A Madman. (1:20). (Henry Kendall). (Spoken by Simon Chilvers). (Control). Buddies: Getting Even Song (Have A Go). (3:17). (John Dingwall - Chris Neal - John Williamson). v: John Williamson. Buddies: Getting Even! Theme - Driving Version. (3:51). 45 (ST) Festival. K-9204. 1983. Produced by Chris Neal. J. D. Productions Pty. Ltd. Australia. 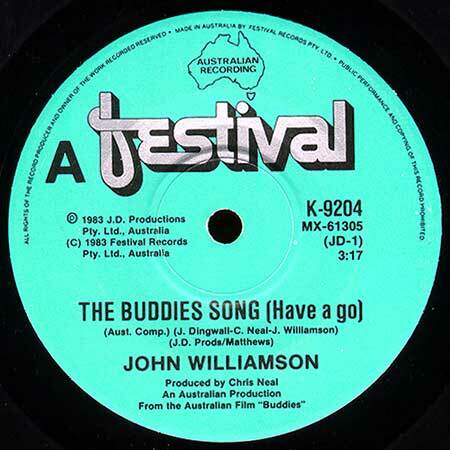 Side a: “The Buddies Song (Have A Go)”. (3:17). (J. Dingwall - C. Neal - J. Williamson). v: John Williamson. (J. D. Prods/Matthews). 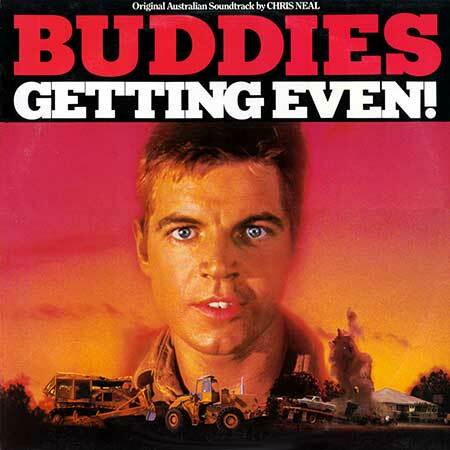 Side b: “The Main Theme “Buddies” (Instrumental)”. (2:24). (C. Neal). Chris Neal. (J. D. Prods/Matthews).